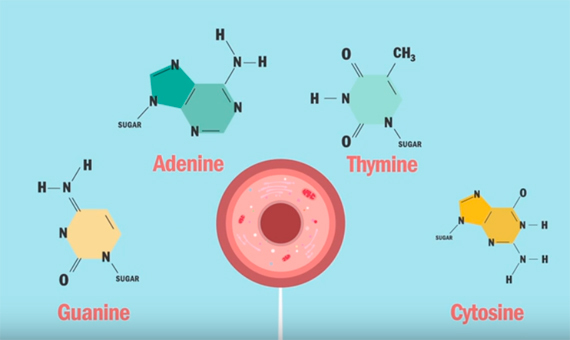 Several researchers, over many years, had discovered that in the nucleus of our cells there was a substance called DNA which contained all our genetic information and it was made of four compounds: Adenine, Thymine, Cytosine and Guanine. 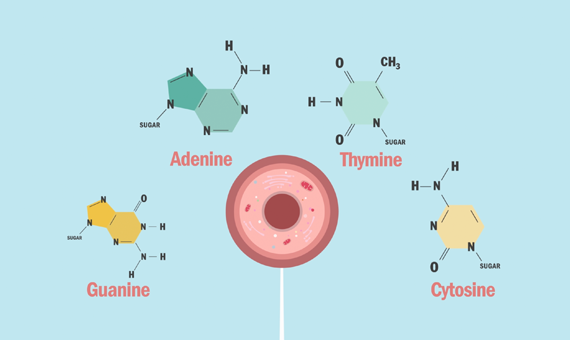 But this molecule was so simple that many scientists were sceptical about it… how was it possible that the whole book of life was written with just 4 letters? James Watson and Francis Crick thought that maybe the answer was in the structure of DNA, and in 1953 they eventually solved this four-pieced puzzle that was driving all the scientific community crazy. Ten years after they received the Nobel Prize for this discovery, and the DNA revolution spread across any biology laboratory in the world.